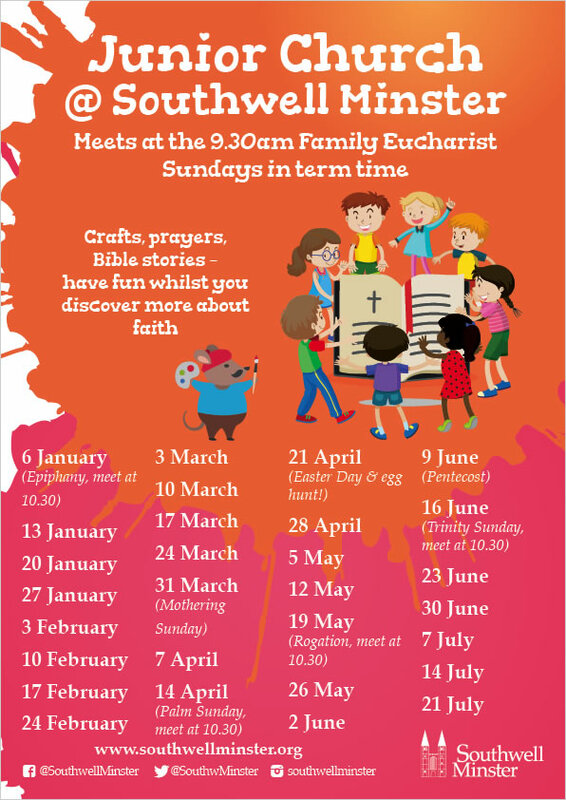 Junior Church, for children aged 3-14, currently meets monthly during the Sunday 9.30am Parish Eucharist service during term-time. We meet in the Pilgrims’ Chapel from 9.30 am until 10.20 am when we join the service in the Minster for Communion. Games, discussions, stories, arts and crafts. We welcome all children from 3 to 14 years of age.